Welcome to Modern Quick Easy Role Playing in the Wild West. 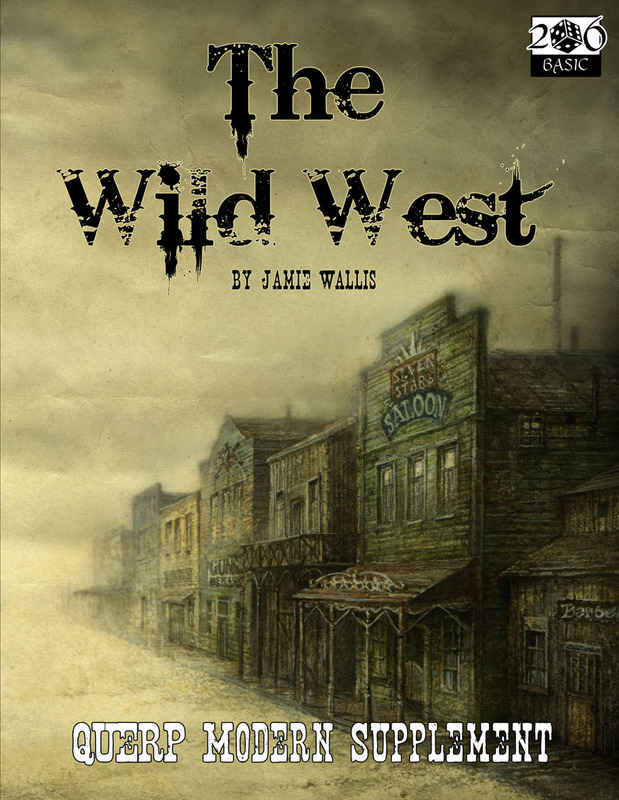 Researched and written based on The Wild West of the United States. This, the latest QMod release, has everything that you need to run a 'rootin - tootin' gun slinging games evening. This is not a stand-alone game. This supplement requires the QUERP Modern Core Rule Book published by Greywood Publishing.